Whether you are visiting Rome or Abruzzo for your honeymoon, engagement or even to propose I can offer you a great way to relive the moment again when you return home. 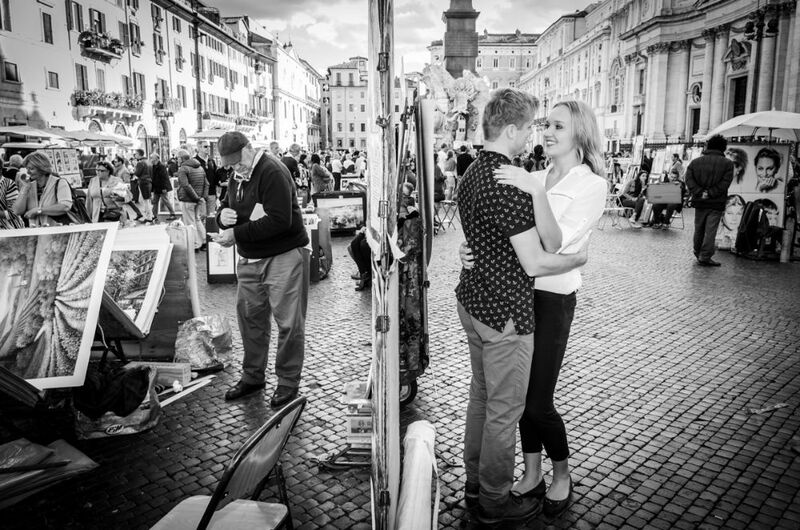 I have photographed couples celebrating all kinds of occasions and many proposals as they happened in Rome so if you are coming to Rome for a special occasion this might be for you. Proposing in Rome or Abruzzo. Ever growing in popularity, why not make the most of your engagement proposal and have it captured forever, professionally. I cover engagement shoots in both Rome and Abruzzo and you can choose a package that either includes the shooting of the proposal or have a walking portrait tour later on during your trip. Whichever package you choose I can advise you on locations for the proposal and help you with your plans. 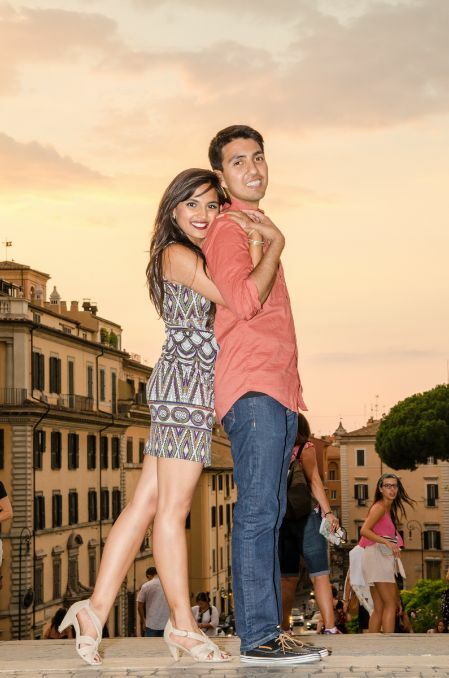 I actually proposed to my wife in Rome so I have experienced what it is like to pull off that plan! Me making an initial visit to your proposal location and tailoring a plan specific to your needs. I will shoot the proposal. Provide you both with a bottle of Prosecco and two glasses to have a toast. Take you on a two hour portrait tour around a pre-planned route. The professional editing of your images. A private online gallery where you can download your images. This is a two hour portrait tour designed around your own wishes taking in locations of your own choosing. A two hour walking portrait tour. Whatever the occasion and however you would like it captured why not get in touch and see what I can offer you. And if you would like to know more and see some examples of some fantastic moments captured in Rome why not have a look through this blog post.